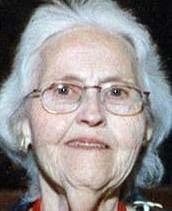 Darlene Lavonne Block, 78, died Saturday, January 13, 2007, at Sartori Memorial Hospital in Cedar Falls, Iowa. She was born July 18, 1928, the daughter of John G. and Annie (Kappel) Mehmen, at New Hartford, Iowa. Darlene married Irvin Block on August 22, 1948 in Cedar Falls, and he preceded her in death on June 22, 2003. She worked at the medical office of Dr. L. L. Boxwell for many years. Darlene is survived by one son, Craig John Block, of Cedar Falls and one daughter, Rita (Dave) Messerly, of Janesville, Iowa; five grandchildren and 5 great grandchildren; three sisters: Gertrude (Ruleen) Rogers of Plainfield, Iowa, Joann (Jack) Miller of Aplington, Iowa and Ruth Isley of Waterloo, Iowa. She was preceded in death by her parents, husband and one infant son, Clark Kent Block. Funeral services will be 10:30 a.m. Wednesday, January 17, 2007, at First United Methodist Church, with burial in Cedar Valley Memorial Gardens Cemetery, both in Cedar Falls. Visitation will be 4-8 p.m. Tuesday, January 16, 2007, at Dahl-Van Hove-Schoof Funeral Home and one hour prior to services at the church.